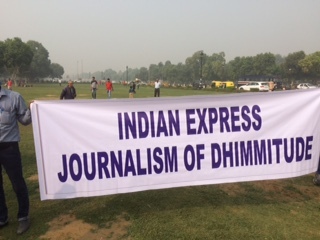 When Sita Ram Goel published his pioneering and very rare Indian study of dhimmitude, there was no social media. 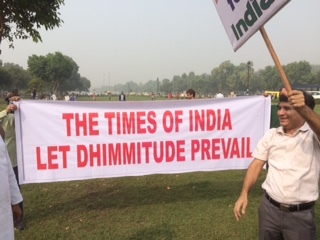 Therefore, the dhimmi ruling elite of India quickly pushed his writings on the subject down The Memoryhole, and so the Indians continue to be as illiterate as before, of this disabling and debilitating mental condition, which can even be characterised ‘mental disorder,’ that afflicts them almost all. This shows that Indians are again trying to learn the subject, which they should have been original researchers of, given that they are the most dhimmified and largest dhimmi population on the planet. Credit for the original research on the subject goes to the great Bat Ye’Or, who did painstaking but groundbreaking work on the subject. Her meticulously researched books have now become the original reference texts on the subject. 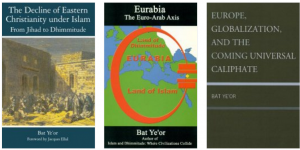 Though her study concentrates on the peoples of West Asia, Turkey, and Balkans, but results she documents, and conclusions she reaches, are evident readily in India also. All her books are available on amazon.com, and her page on the website is available here. 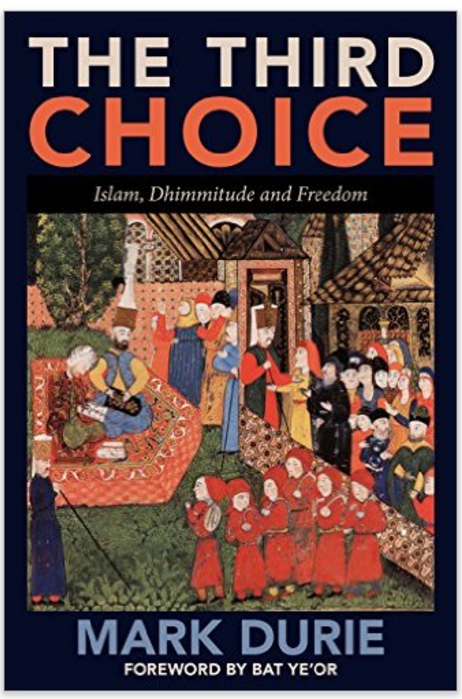 Another great book on the subject is recently published by Mark Durie, aptly forwarded by Bat Ye’or herself: The Third Choice: Islam, Dhimmitude and Freedom. In fact for a beginner, before he proceeds to more detailed books of Bat Ye’or, this book is very suitable. This is also available on amazon.com, here.